Since the start of last season, a good measuring stick of form/ability, the two best players on the planet have been Lionel Messi (by some distance) and then Mo Salah – based on domestic league performances. 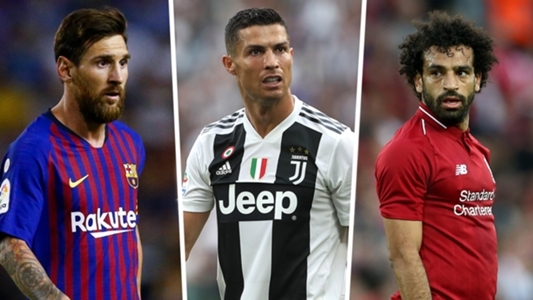 Obviously, the World Cup was important and earned Luka Modric a Ballon d’Or, while the Champions League is an equally enormous measuring stick when it comes to elite player ratings – but when considering the week in, week out showings, Messi and Mo are best. This tweet shows how Messi has a jaw-dropping 93 goals and assists combined since the beginning of 2017/18, with Salah on second with a crazily impressive 71. Next, is Luis Suarez, some way back on 63 – with a clutch of players – including Cristiano Ronaldo, Raheem Sterling, Harry Kane and Sergio Aguero – a little further behind. Salah has been genuinely criticised for his Premier League showing this term, which is hilarious considering he’s on 19 goals from the right wing and nobody in the country has more. In fact, considering our fixtures, we reckon he’s the favourite to tip Aguero to the Golden Boot. Messi is the greatest player ever to step foot on a field, and Ronaldo, despite our opinions on him, isn’t far behind – so for Salah to be in this conversation and better than the latter statistically over nearly two years – is incredible.